Pilot International and its members are called to CARE MORE. At its core, Pilot International is an organization that CARES. In 2013, Pilot International introduced the “Pick Me Ups” initiative for Family Caregivers. Pilot International and its members are called to CARE MORE. At its core, Pilot International is an organization that CARES. Pilot International is also proud of our multi-generational membership and our dedication to Friendship and Service. In essence, Pilot is a family, and we celebrate families. We are a family that cares- for each other, for our communities and for our world. Thanks to the efforts of Pilots everywhere, the second week in November has been named International Care & Kindness Week. International Care & Kindness Week was created to bring awareness to how simple acts can change a day, a life or the world by simply showing someone you care. During this special week, Pilot engage in numerous activities to emphasize and encourage kindness, caring and general good will to all! From granting full “Pick Me Ups” experiences or giving “Little Pick Me Ups” to strangers, family and friends to encouraging families (including their own!) to “Get Real!” and put their devices away at meal times, Pilots everywhere help spread the news about what it means to really care. Introduced in 2013, the “Pick Me Ups” – Kind Acts for Those Who Care” program is Pilot’s second signature service initiative. 65.7 million Americans – young and old – devote their time and resources to caring for loved ones at aging and strengthening these remarkable Family Caregivers. Pilot Clubs work directly with local agencies to identify deserving Family Caregiver candidates and then grant the specific Family Caregivers a little something back, a little “Pick Me Up” meant simply to brighten their day, and to remind them that somewhere, someone cares – for them. 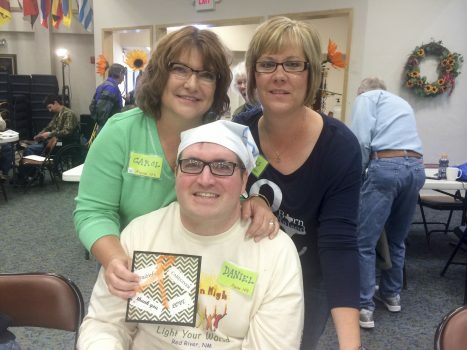 Many Pilot Clubs around the country work with The Brain Injury Association of America to support and sustain several camps for individuals with traumatic brain injuries (TBI). These outstanding facilities not only provide a positive experience for the campers but also provide an opportunity for much-needed rest for their caregivers. Pilot International is proud of the amazing work being done by our local clubs to improve the quality of life for these individuals and their families. Pilot International is a proud supporter of Project Lifesaver which aids Family Caregivers by providing timely response to save lives and reduce potential injury for adults and children who wander due to Alzheimer’s, autism, and other related conditions and disorders.